A naturopathic practitioner, also known as a naturopathic doctor, is a licensed physician that treats patients using a combination of natural and conventional medicine. If you’re interested in a field in medicine and would like to work directly with patients in your own clinic, this field might be an excellent choice for you. What Is a Naturopathic Practitioner? A naturopathic practitioner uses all forms of medical discipline, when applicable, to treat their patients. They will often use Western and Eastern medication and conventional medication along with herbal supplements. The field of naturopathic medicine is growing very quickly. This allows the practitioner to treat illnesses that might otherwise not be responding to more standard methods of treatment. A naturopathic practitioner can also be an excellent alternative for patients that are already seeing a medical doctor as well as a holistic doctor, as a naturopathic practitioner will have less of a chance of suggesting medications that could conflict with each other. Naturopathic practitioners are highly trained and skilled individuals that are knowledgeable about many symptoms and diseases. They are called upon to treat many illnesses and often pride themselves on the ability to solve issues that other doctors cannot by approaching the illness from a different direction. What Does a Naturopathic Practitioner Do? Naturopathic practitioners operate like many other doctors. 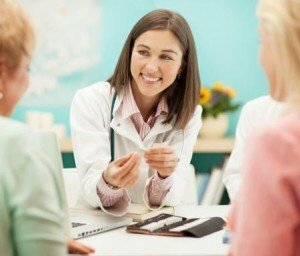 Patients will usually come to the practitioner’s office for an initial consultation, during which the practitioner will discuss the patient’s medical issues. They may also have their assistants request the patient’s medical charts from their current physician so they can give a more accurate diagnosis. Once the diagnosis has been reached the practitioner will create a treatment that includes a variety of treatments intended to address the symptoms of the patient. Many patients will have a follow up exam scheduled with the physician so the physician can gain the effectiveness of the treatment. The practitioner may adjust treatments at this time or may discontinue them if they have already worked sufficiently. A patient may also come to a naturopath for other treatments such as minor cosmetic treatments or minor surgeries. How Do You Become a Naturopathic Practitioner? A naturopathic practitioner is required to receive a degree from an institution that is certified by the Association of Accredited Naturopathic Medical Colleges. The degree obtained is considered a Doctorate’s Degree but is usually not as expensive to obtain as a standard medical degree. Naturopathic doctors are also required to attend continuing education classes throughout the year to maintain their certification and prove that they have been updated on the newest naturopathic developments. Naturopathic doctors can sometimes partner with other clinics when they are first starting out. A physician can also begin their own clinic with the aid of referrals from their certifying board and advertising. How Do You Advance as a Naturopathic Practitioner? The field of naturopathic medicine is growing very quickly. A naturopathic practitioner is a medical doctor and, according to O*Net Online, will usually be self-employed and make a fairly high salary. Due to the fact that a naturopathic physician is self-employed, their personal success and advancement will usually be based on the success of their clinic. Clinics can sometimes be bolstered by the addition of new treatments. Many naturopathic physicians offer laser treatment services in their facilities, such as laser resurfacing. Still others also offer cosmetic treatments such as Botox as both a means of increasing income and a method of providing value to their clients. These treatments usually require additional certification but this certification can usually be acquired by a licensed medical doctor without significant difficulty.